We had a great night last night at Inellan Cricket Club’s annual dinner. Previously these things have been all male affairs, a bit like stag nights, but this year we made an effort to make it a family affair. I am not really what you might describe as ‘clubbable’. I am not always at ease in social groups and tend to find my place at the edge of things when I can, looking in. In the scheme of things, a cricket club seems a slight thing- we are hardly saving the world. We are hardly contributing to the great cultural life of the nation. However, I would like to suggest to you that in these times when our culture has splintered and broken down into indvidualised consumer components, there is a deep value in clubs like ours. They are part of the glue that is helping us cling together. The club is going through one of those transitional phases, when a lot of the long standing players, who carry the memories and the traditions of the club, are one by one slowing down, nursing broken bodies and choosing to hang up their bowling boots. Some of them are turning to that most dreadful of sports, the graveyard of leisure pursuits; golf…. Last night, as he has done for decades, the MC and heart of the evening was Gordon McKissock, president and sartorial example to us all as he took centre stage. But this was for the last time, as Gordon is stepping down as president and player. He will be very much missed, and I am secretly hoping he might yet change his mind. But last night was all about celebrating the history and traditions of the club, which was formed some time back in 1985. It has been a place full of characters, and the stories told of their exploits are rich and long. Some of this history has been gathered into the prizes awarded each year- the Duck Cup, supposedly for the player with the most ducks in the year, but often awarded fairly randomly. The Wayne Pursely trophy for the best fielding- in memory of a young former player who died. Then there is the Tim Weal trophy, in memory of a true bearded original, known for umpiring on a chair with a beer hat in place. This trophy is awarded to someone who has done something really stupid, on or off the field of play. There are usually many candidates. This morning our mantelpiece has a few more objects. Matt was rightly awarded the fielding trophy for some outstanding catches and run outs. Will got the best batting average this year- which amazed us all, but was reflective of consistency with the bat all year. He has now done the double as he won the bowling trophy last year. 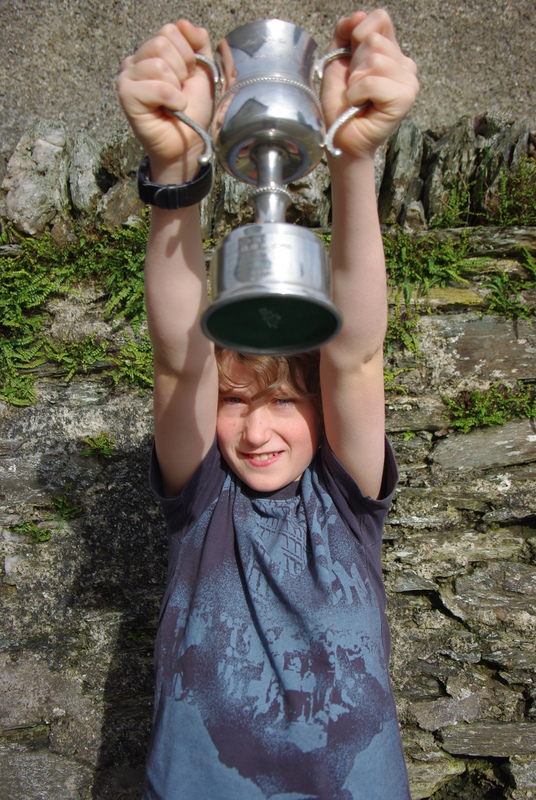 The only trophy I have ever won previously was the ‘most improved player’ (won this year by young James.) My name is on this trophy underneath my son Wills, who had won it the year previously. It seems I am forever destined to be out shone by him as this year I won the bowling trophy, and my name is underneath Will’s again. Next year the batting trophy for me I assume! However, I did beat him to one other trophy- this year, perhaps by some fluke, and perhaps reflective of the rather low standards we set this year, I was awarded the player of the year cup, for a combination of batting, fielding and bowling. It is all downhill from here folks… for me anyway. Will and Matt, that is another thing all together. 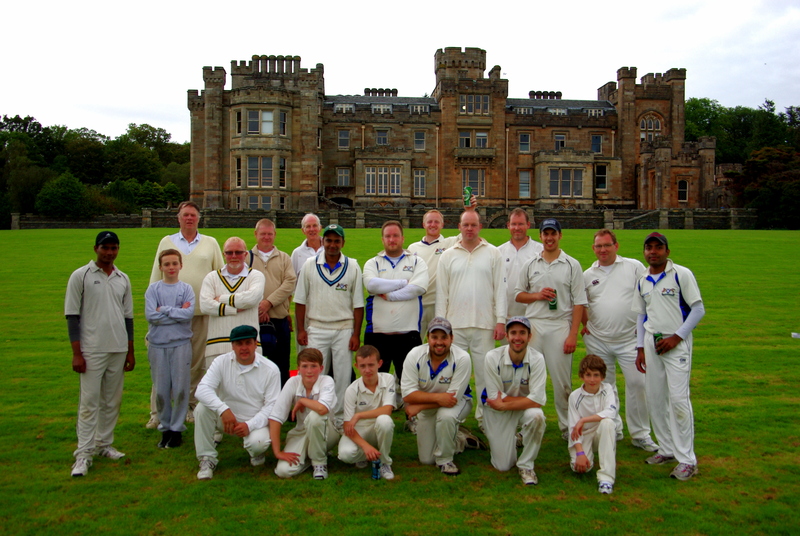 This entry was posted in Uncategorized and tagged cricket, innellan cricket club, trophy by Chris Goan. Bookmark the permalink.